She was wonderful. Very patient and explained everything to me. Friendly, calm, all in all great experience. I actually travel in from Massachusetts because Dr. Thorat, Dr. Neer, and the entire team are so amazing and from the front desk to each member of the staff, I feel listened to and cared for. They took care of me very well. They listened when I said the anaesthetic hadn't gotten far enough yet. I'd gotten a filling; I needed no further correction of it. A+, would visit again! Dr. Erwin is amazing! Her bedside manner is exquisite. I love that she walked me through my procedure as well as took the time to respond to questions afterward. I felt at ease and well informed. She's the best! I haven’t had to have a filling since I was a teenager (now in my mid-30s) and the experience was quick. 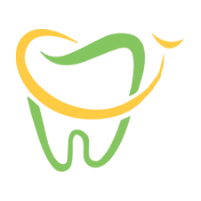 Dr. Thorat and her assistant were very professional and very pleasant. It was lovely to see two independent and strong females in the workplace! She was very nice and explained everything clearly. Got a filling. Quick and painless. Staff was polite. The front desk staff was very attentive and polite. I was addressed right away and barely any waiting time. I was immediately put into a room once I got through intake. Dr. Ritholtz was very attentive and kind. He answered all of my questions and made sure I was aware of everything I was going to encounter with invasalign. The consultation was quick and no surprises. I decided to move along with the process right away and he scheduled me for my follow-up visit right on the spot. He made sure the front desk took care of me after the visit so all of my needs and questions were met. Looking forward to the rest of my visits. Excellent professional service in every regard. Highly recommend. Dr. Erwin was kind, knowledgeable, and gentle. Definitely recommending her to others! Everything was great. From start to finish. Not a long wait, thorough exam and friendly staff! Seamless process. Excellent treatment for clients with difficult bone structure inside upper and bottom roots of the mouth. So friendly and most importantly, honest.